The Windows registry is a vast database that stores low-level settings for your OS along with all software and hardware on your PC. 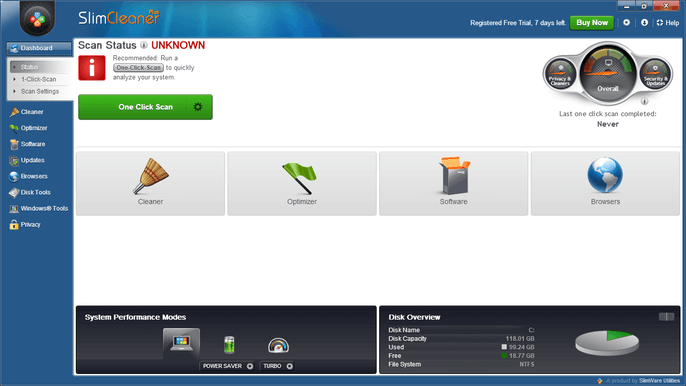 Registry cleaner software is a tool that can safely and effectively clear the registry of the unneeded files and data. Here’s some information on how this software works. When a program is uninstalled from a PC, its registry entry should theoretically be removed too, although this is not always the case. Eventually, the Windows registry can become bogged down with unwanted and unnecessary entries and files that clog up the system. Luckily, there are many free registry cleaner tools available that will clean the registry automatically and give you plenty of other features besides. Many registry cleaner tools promise to optimize your PC, make it faster and more efficient, and remove any errors found in the registry. Cleaning the registry alone will not boost performance, but many programs provide additional tools such as drive cleaners, startup program managers, RAM cleaners, and more. We decided to find the best free registry cleaners on the market. Our selections include programs simply dedicated to cleaning the registry and others that also provide PC maintenance tools. Auslogics Registry Cleaner is highly regarded as the best Windows registry cleaning tool, and after spending time with the tool we must agree. Simple and effective, the registry cleaner allows users to conduct a one-press scan across registries. 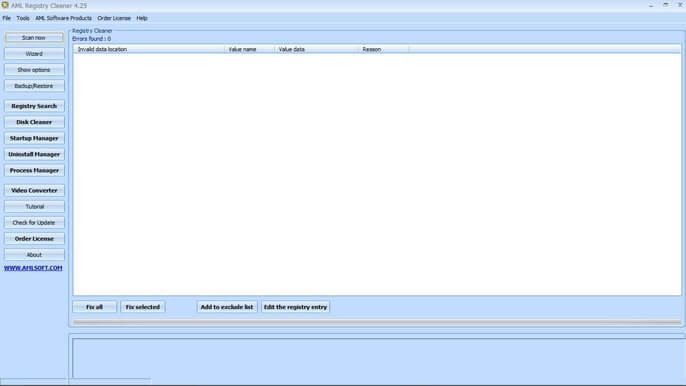 Once a scan is complete, Auslogics Registry Cleaner will give you the option to clean broken registries. Again, customization tools are strong as you can dig deep into each section to find more information about the problem before selecting which items you want cleaned. It’s fair to say that the Auslogics Registry Cleaner is comprehensive, but the registry cleaner is part of a suite of apps that are pushed on you through the download. Sure, these are all optional, but make sure you deselect any Auslogics programs you don’t want in the setup phase before installation. CCleaner is a no-fuss registry cleaner that is ideal for beginners. 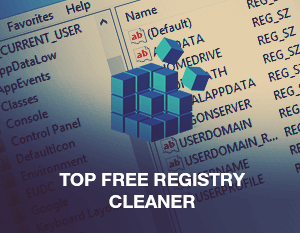 The free PC cleaner provides tools for checking different types of unused registries, including obsolete software, and allows users to delete, skip, or manage individual files. We like that the CCleaner gives a clear option to back up files before deleting entries. 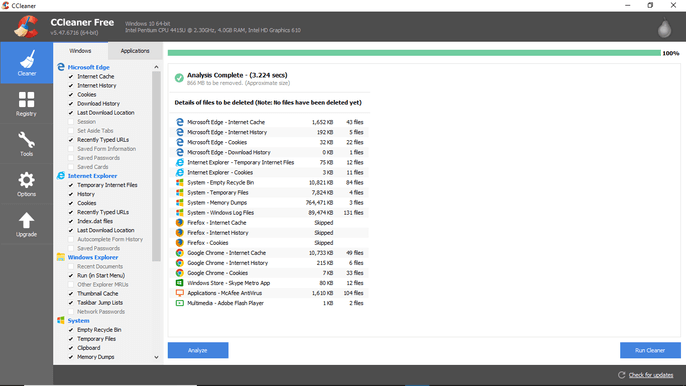 As a registry cleaner, CCleaner is part of a wider PC maintenance tool which provides more file management abilities, such as deleting caches, cookies, and temp files, and it can fix registry errors of all sorts. While a handy and powerful tool, the CCleaner free PC cleaner is basic in its free form. As you perform PC maintenance tasks, you will find that many cleanups are locked behind the paywall of the premium versions. Backup is also an awkward experience that takes longer than the one-click approach used in other registry cleaner software. SlimCleaner mostly says goodbye to the simplicity of the Auslogics Registry Cleaner as SlimCleaner aims for a busier dashboard-style UI. That’s not to say the navigation is complicated, as everything is easily visible. We especially love the program manager that comes with this computer cleaner, allowing you to customize program use on your PC. Interestingly, SlimCleaner also has an Advanced menu which hides plenty of features. 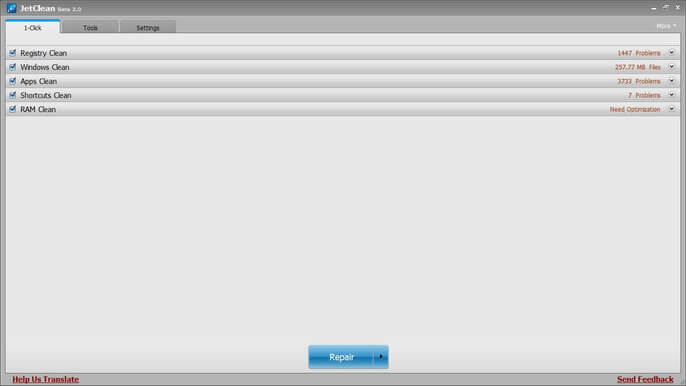 For example, there are options for configuring files and customizing the Start Menu and Notification Tray. The free registry cleaner also boasts a strong community, which rates each function and lets you know which is worth using, or not. Solid maintenance tools are SlimCleaner’s main attraction, specifically in the computer cleaner itself and in startup managers. While an enviable overall package, SlimCleaner is somewhat let down by its lack of filtering options, meaning the registry cleaner is relatively rigid and does not let you choose scans as finitely as other options. Unlike others on this list, JetClean is a free registry cleaner first and foremost and limits the amount of system management tools. That’s not a bad thing as it means the computer cleaner is dedicated to offering a fantastic registry cleaning experience. Importantly, JetClean lets you delve deep into the parts of the registry you want, with strong filtering options including software locations and application paths. Data safety is a priority, so any changes made to the registry are backed up and can be accessed via the “Rescue” button within the application. It is also worth noting that this free PC cleaner is not constantly pushing you to download additional tools, which is something we appreciate. However, this is certainly not a perfect experience. 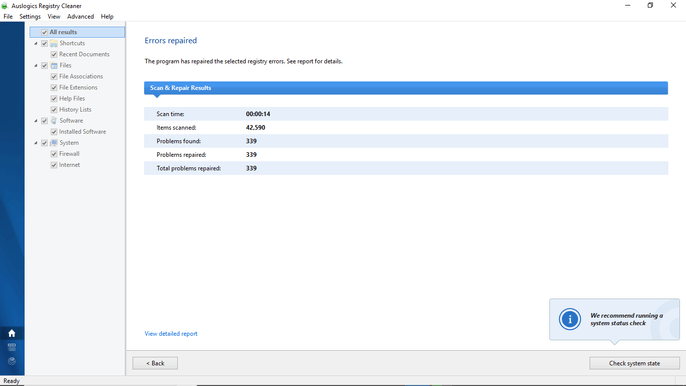 Sadly, the registry cleaner fails to provide detailed information about registry items. That may be fine for pro-level users, but beginners may be left conducting internet searches to find the root of some issues. For standard cleans there are admittedly no problems. One of the best registry cleaners for users due to its no frills functionality, AML Registry Cleaner is a tool that gets the job done with minimal fuss. A free and simple registry cleaner with no added PC scanning facilities, AML is a fantastic choice for users who just want to clean their machine. The registry search is the star of the show, allowing you to surface registries from deep down in your system for the best results in your registry repair. We also like the fact that the AML Registry Cleaner is beloved by users, not least because it has a reputation of not mysteriously causing more problems (trust us, this happens more than you know with other registry cleaners). It’s true that AML looks old-school, and that’s because it is. Indeed, the free PC cleaner is available in 64-bit and 32-bit versions and runs on any Windows version stretching back to XP. That said, it’s clear that some users will dislike the tired visuals of the app, which is admittedly not for users who crave modern UI flourishes. Whether you’re looking for the best registry cleaner software or a suite of PC maintenance tools, one of the above solutions should have you covered. That said, as always, we will advise that this is a large market and there are certainly other registry cleaners that are worthy of recognition. Still, the programs on our list provide the best options to get most tasks done. Also make sure you have a reliable malware removal tool installed on your computer. This will guarantee lower risk of the computer getting damaged by malicious means. Tags: AML Registry Cleaner, Auslogics Registry Cleaner, ccleaner, free PC cleaner, free registry cleaner, JetClean, registry cleaner, SlimCleaner Free. © 2014-2019, Icecream Apps. All rights reserved.